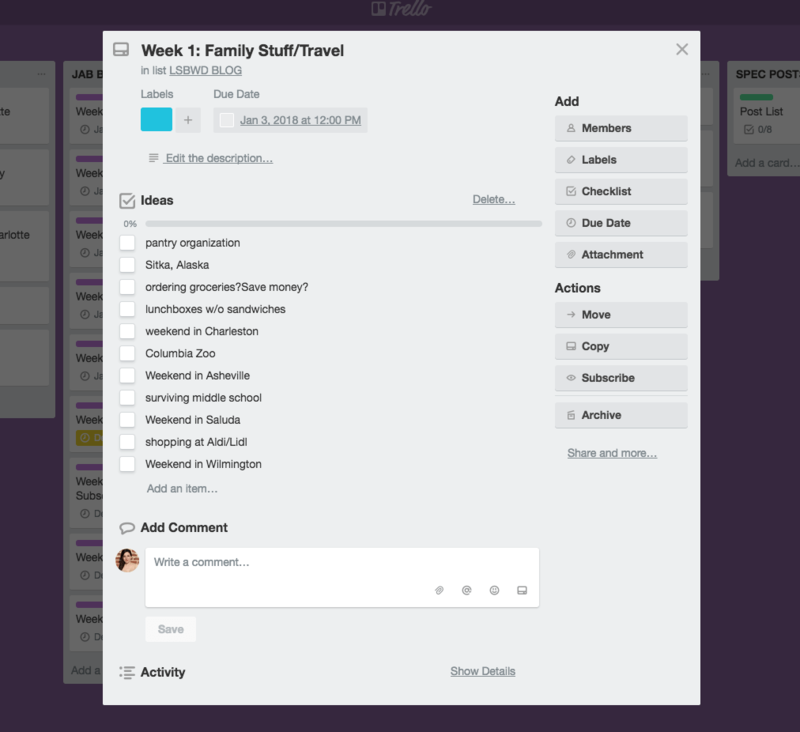 I started using Trello about a year ago to manage my social media sharing schedule and for the last several months to manage my workflow and keep my to-do list in check, but in the last two weeks, I started using it to maintain my editorial calendar. You guys, I have to say, it is working out quite nicely! Guess what? I made it work! So, you may know that in addition to this blog, I also run a monthly digital subscription service. 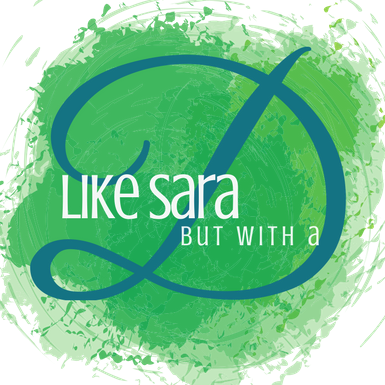 You probably don’t know that I do a lot of freelance writing and regularly write for a local site. I needed my editorial calendar to be able to handle all of these things! Seems like a lot to squeeze in, right? Nope! I got it all, neat and organized! If you don’t know about the loveliness of Trello, watch this video. I love this tool, and I think it makes me so much more productive and saves me so much time! Last week, I launched a little course that teaches my to-do list and social media sharing method, and it also touches on this here editorial calendar. If you love what I am about to show you then you should totally check it out (it also comes with a free 3-month subscription to my subscription service BONUS! ), alright that’s it for the hard selling tactics…was that hard selling or was it soft selling? What is soft selling, is there such a thing as soft selling? I included a week 5 because some months end up with five Wednesday’s, and I didn’t want to screw myself. Of course, this schedule is flexible, as you can see, it is not the fifth Wednesday, but I’m writing about blogging. The beauty of putting this in Trello is that I can move it all around with the greatest of ease and don’t muck up my paper planner if things change. Once I had my categories in order, I gathered up all my random post ideas and started plugging them into the appropriate week. When it was all said and done, I had a nice list of posts in each of my categories that will last me quite awhile. I followed the same process for my subscription service, but with twice as many slots because I post on Sunday and Wednesday there. I also did a few cards for the local site, weekly Facebook live topics, and my Facebook group posts. I made an additional card for spec ideas. This is where I put all of the things that didn’t fit the niche for any of my other sites. Sometimes you have a story to tell, but it doesn’t jive with your audience, and then you have to go find another audience! Am I right? Finally, I enacted the calendar power-up on the board, and now I have this orderly looking editorial calendar that is full of post ideas and topics but is completely flexible. I love it! See! Amazing, right? I’m telling you guys, Trello is where it’s at! 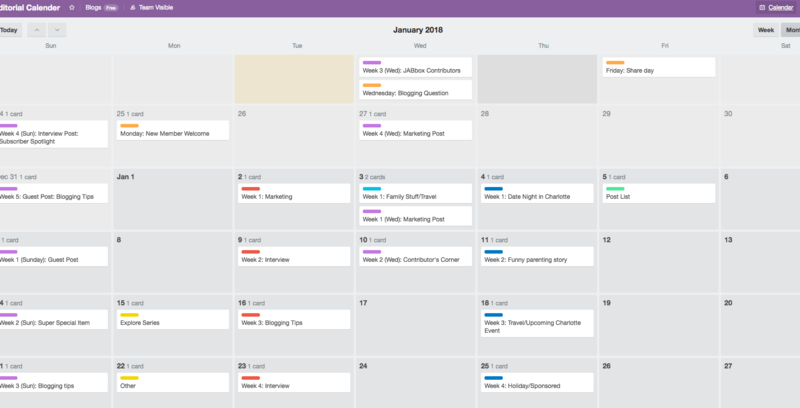 Let me hard/soft sell one more time 😉 If you like the idea of this and want to learn how to make a super awesome to-do list that will have you rocking it out in the New Year AND create a crazy organized social media sharing calendar that will keep all of your content in rotation, then you should 100% check out my course! 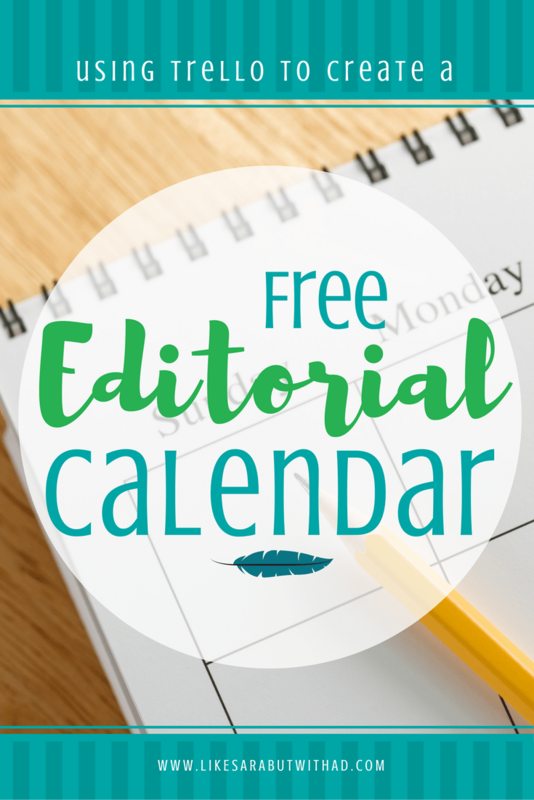 How do you manage your editorial calendar? You are the bestest! I can’t wait to get our collaboration going! SO I WILL SEE ALL OF THE POSTS ALL THE TIME! This looks like a great idea–I’ll have to investigate! First thing…I’m loving the Falcor picture! Second, I am totally going to look into this! I’ve been needing to do something very similar. Thanks for sharing! Neverending Story is where it’s at! I’ve heard of so many people using Trello! I need to check it out. One of my goals for the new year is to get my blog stuff more organized and this might be a really helpful tool! It will be! You can seriously organize your life with Trello!